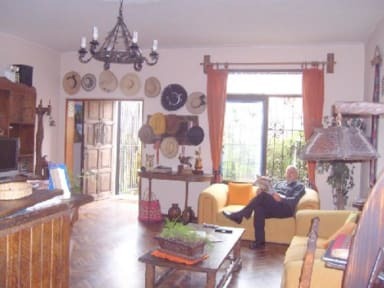 Hostal Pukara is a turistic and pleasantly hostal with three floor , situated in a good area of Miraflores, near an attractive park. All rooms have privat bathrooms (hot water available 24 hours), towels and soap, cable TV (more than 80 channels). continental breakfast + fruits is included, and is served from 6.45 am a 11 am. The rooms are cleaned and made up daily. We are open 24 hours 365 days a year. You can make international calls using your telephone card in the hostel. We also provide full-equipped kitchen facilities, a telephone service, free wake-up calls and staff availability 24 hours. We have singles (beds are 1& half), doubles(2 beds of 1& half), , twin and triples as standard rooms, and can sleep up to eight in a room (with bunk beds). The hostel is also near of the beach (15 minutes walking, or 5 minutes in a taxi). Cinema(cine pacifico), discos, bars, ,Bancos (City Bank, Banco de Crdito, Banco Continental, Sudamericano). Donalds, Bembos, Starbucks, Subs, Glottons, Pits, supermarkets wong are all nearby. The laundry is three blocks away , and they clean and dry your clothes in 4 hours. Arriving in Lima can be rather intimidating, as the airport is a long way from the centre and the taxi touts can be very aggressive. we can arrange a mini van $ 40 dolares to collect you. 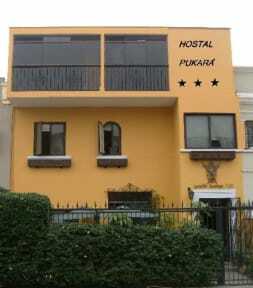 The hostal Pukara is a family hostel; we enjoy meeting tourists and providing information about Lima and Peru. including trips to City tours in Lima , nazca .Arequipa Cuzco, Puno, . the Amazon Jungle, Manu National Park and Iquitos, meet the beautifull beachs et the north of Peru and Mancora. Just ask at reception for details.